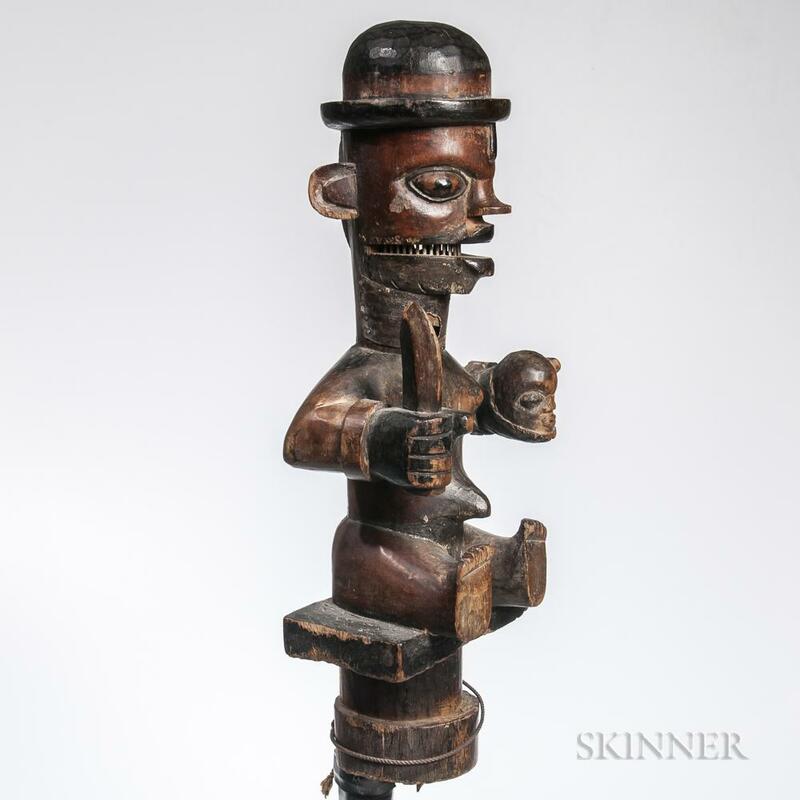 Tribal Art online | July 2-11 | Skinner Inc. 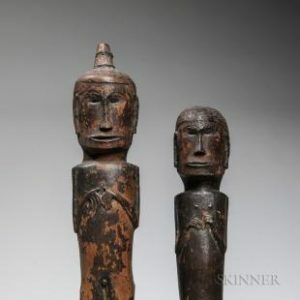 The Tribal Art online auction includes significant artifacts from including Inuit and Northwest Coast tribal groups; from the Amazon; a large number from Africa ranging from ceremonial face masks, figures, weapons and jewelry; a large Oceanic contingent of material from New Guinea jewelry to Polynesian pre-contact stone tools and weapons; and a group of Pre-Columbian ceramic figures and vessels. Tukano Basketry Blow Gun Dart Carrier with Blow Gun, early 20th century, dart carrier filled with arrows, Estimate $300-400. Easter Island Obsidian Spear Point, Nihomango, pre-contact period, from the Kenneth P. Emory collection, Honolulu, Hawaii., estimate $800-1,200. Batak Pair of Male and Female Standing Figures, Estimate: $2,500-3,500. Previews by appointment will be held at Skinner’s Marlborough Gallery. Contact 508.970.3254 or americanindian@skinnerinc.com to schedule an appointment with the American Indian & Ethnographic Art department director, Michael Evans. This entry was posted in Blog, News and tagged african art, American Indian & Ethnographic Art, American Indian Art, american indian beadwork, North America, oceanic art, online auction, Polynesian art, pre-columbian art, skinner auctions, tribal art, tribal art auction, tribal weapons by Skinner. Bookmark the permalink.